The Gardens of Peterborough are ideal for older adults and their families who refuse to compromise on quality and service. Whether you are looking for the comfort and security of our unparalleled health & care services or you are searching for a gracious lifestyle with freedom from routine household chores, our dedicated staff is ready to attend to your every need. Enjoy a relaxing and delicious meal with family and friends. At The Gardens, dining is an experience. Our broad menu offers a wide variety of tasty, well-balanced meals prepared by qualified chefs and made from the freshest ingredients right in our own kitchen. Professional staff attend to every detail, ensuring gracious and courteous service at all times. Explore our Dining section to see what we mean. Enrich your day by joining in one of our many recreational activities. From one of our many regular activities to our frequent Special Events, there's always lots to do at The Gardens to keep you interested and energized. Participate as much as you wish or relax with a good book or chat with a friend. 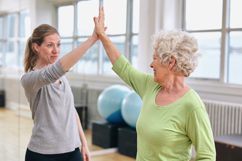 We offer opportunities for new experiences, valued social interaction, and activities designed to keep you healthy and independent. Live each day to the fullest. Take a look in our Activities section to find out more. Pamper yourself with our Laundry and Housekeeping Services. In traditional hotel-style, our staff provide fresh linens and towels and make sure that your suite is immaculate and your laundry clean. We give you the freedom to spend your day the way you want to. High quality services depend upon high quality staff. At The Gardens of Peterborough, we not only emphasize quality of care, but also "quality of caring". Our staff are selected not only for their technical competence, but also for their love of older adults and their desire to make a difference by helping others. 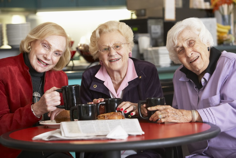 Moving to a retirement community is a big decision that can affect the whole family. The Gardens of Peterborough understands and we are here to help. We work with residents and families to find the right choices for them. And, while often stressful and challenging at first, improved health, a balanced diet and increased social interaction will improve the wellbeing of an older adult. It may also bring a family closer together. Keeping families together is at the heart of what we do. Visit our For Families section to find out more.